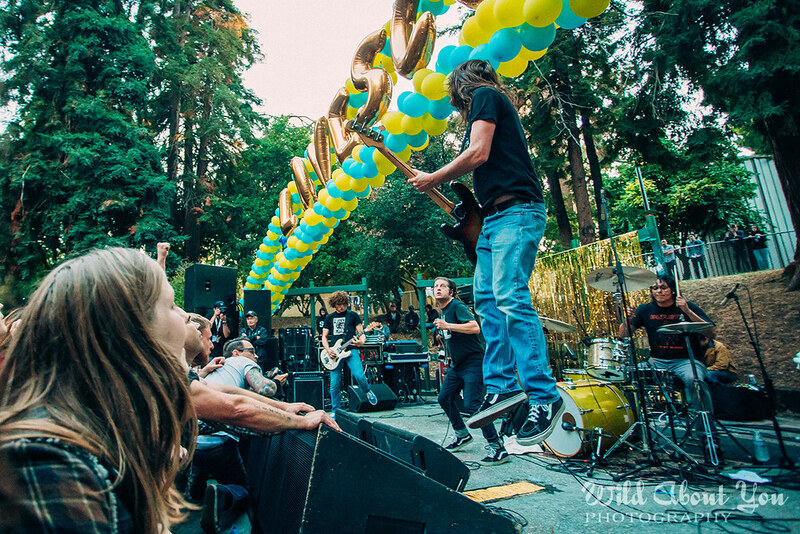 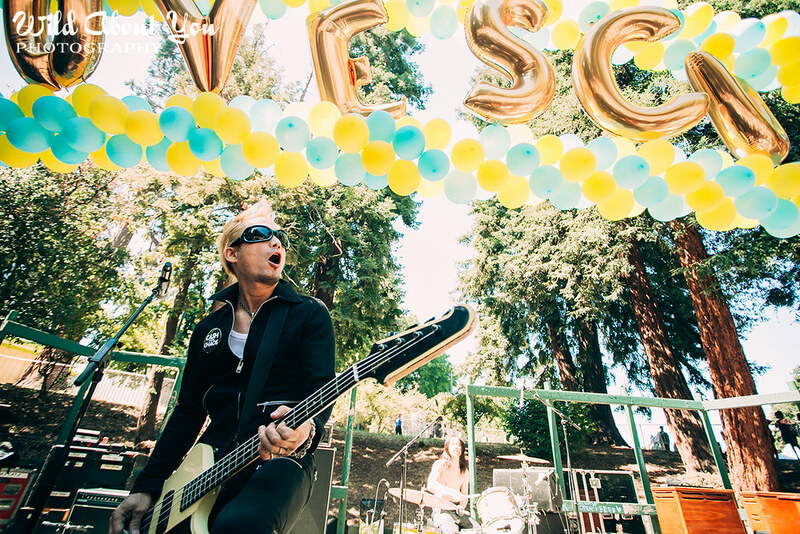 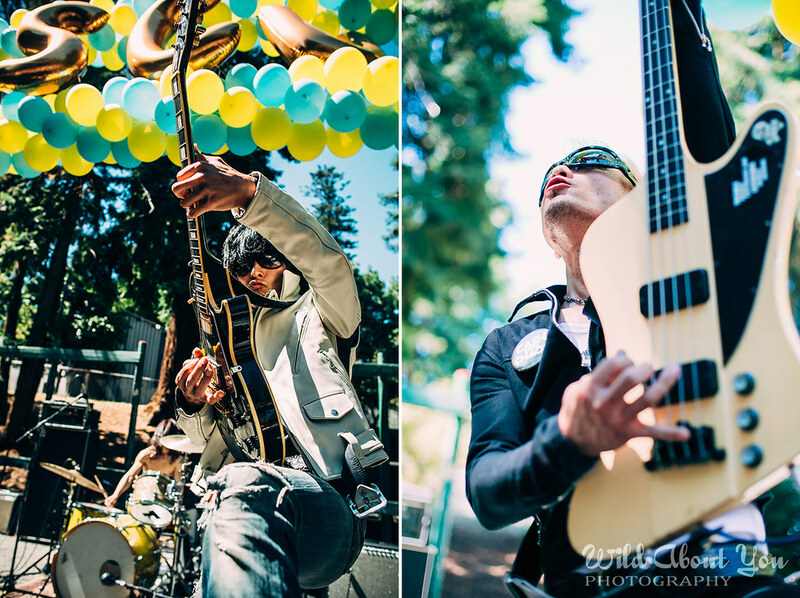 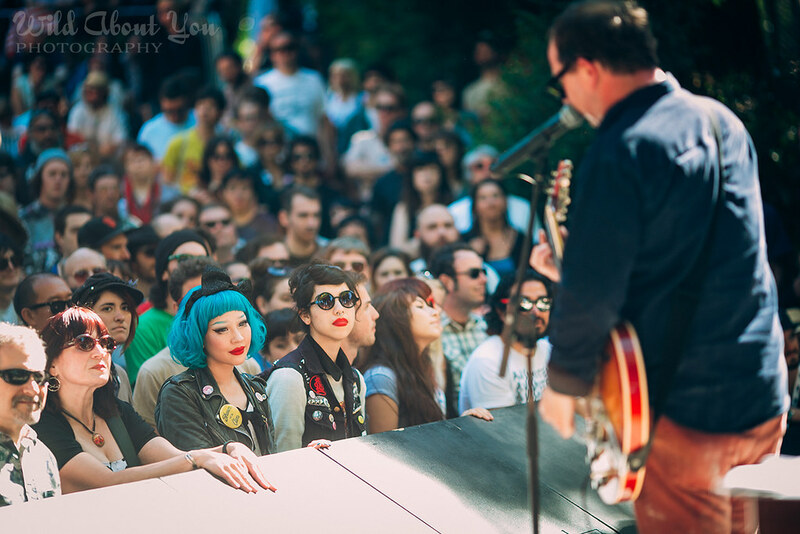 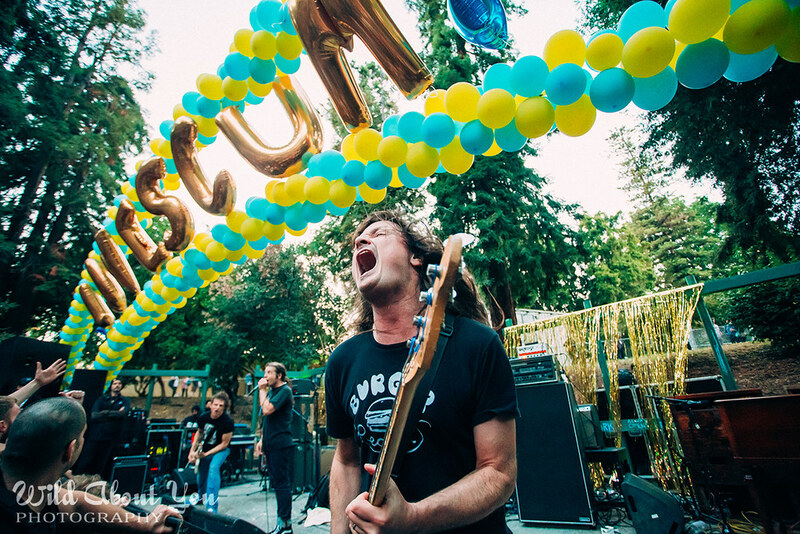 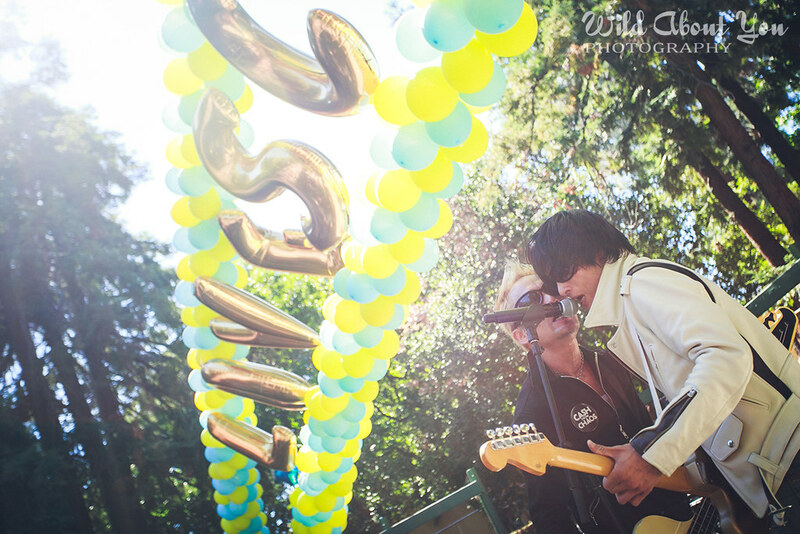 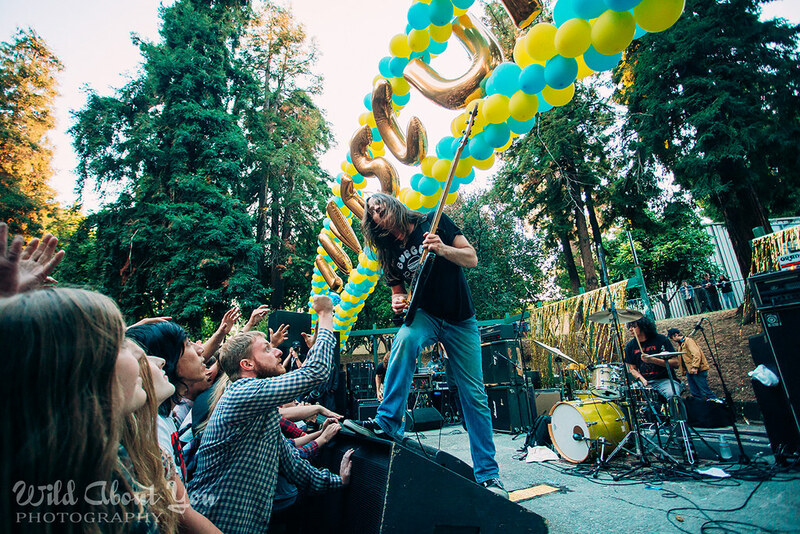 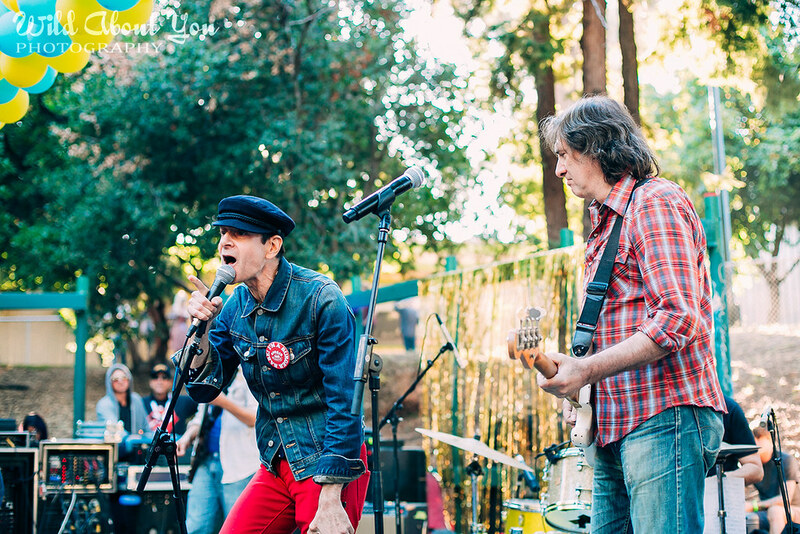 Last year, Oakland’s family-friendly Mosswood Park saw the likes of the Zeros, Jonathan Richman, Redd Kross, the Oblivians, the Trashwomen, and Fuzz attack its open-air stage during the Burger Boogaloo, and it seemed unlikely that a garage/punk/pop line-up of equal awesomeness would be experienced in the East Bay ever again. 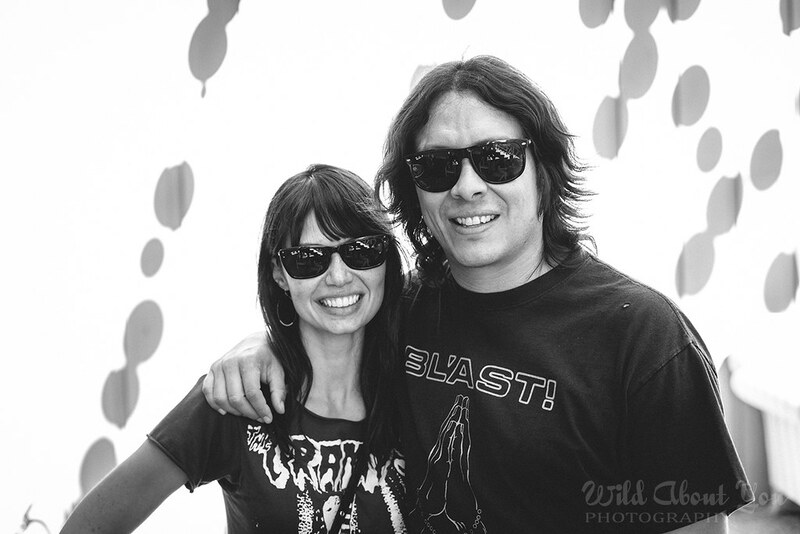 Boy, were we happy to be wrong! 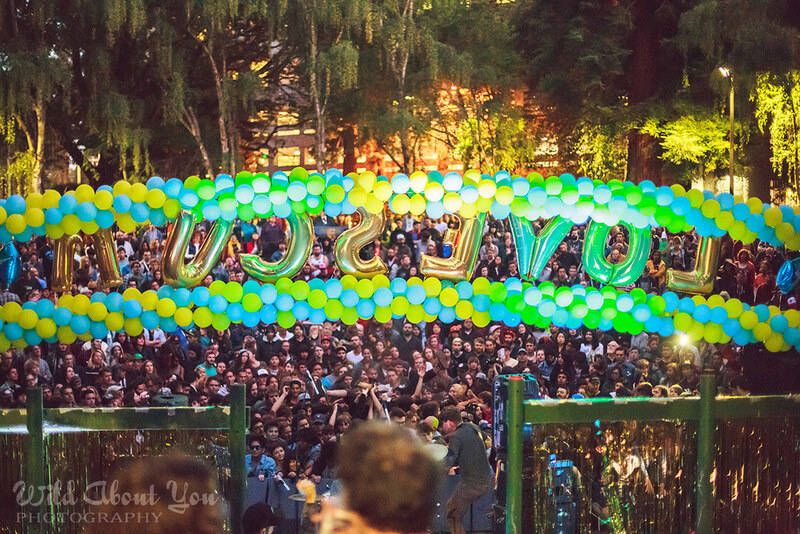 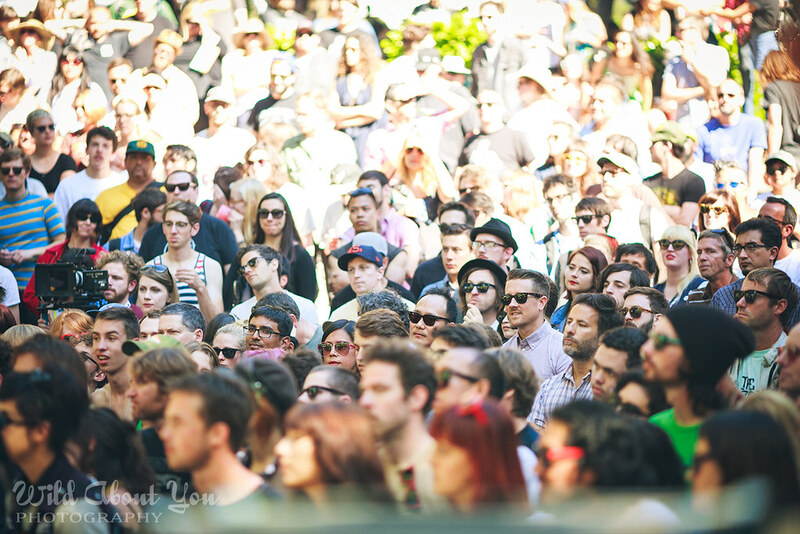 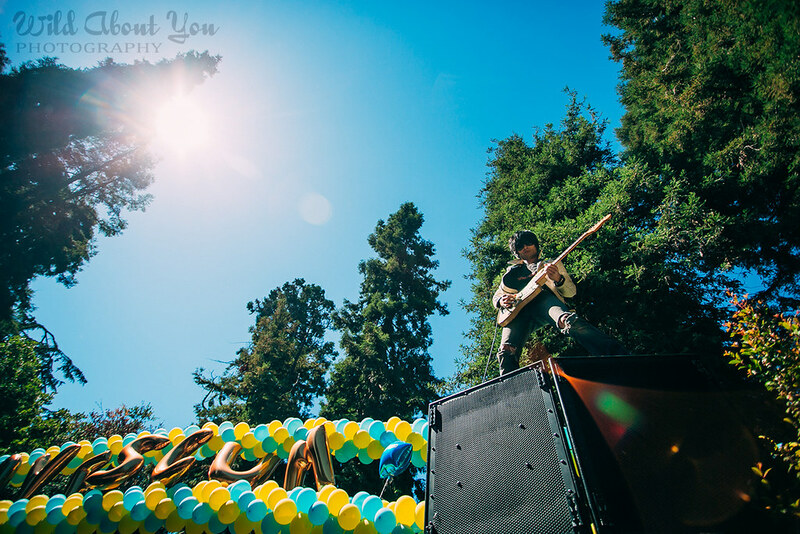 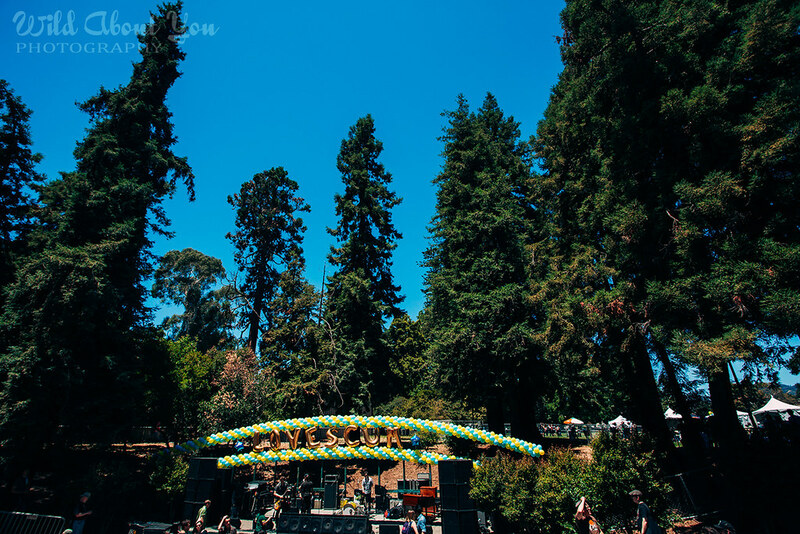 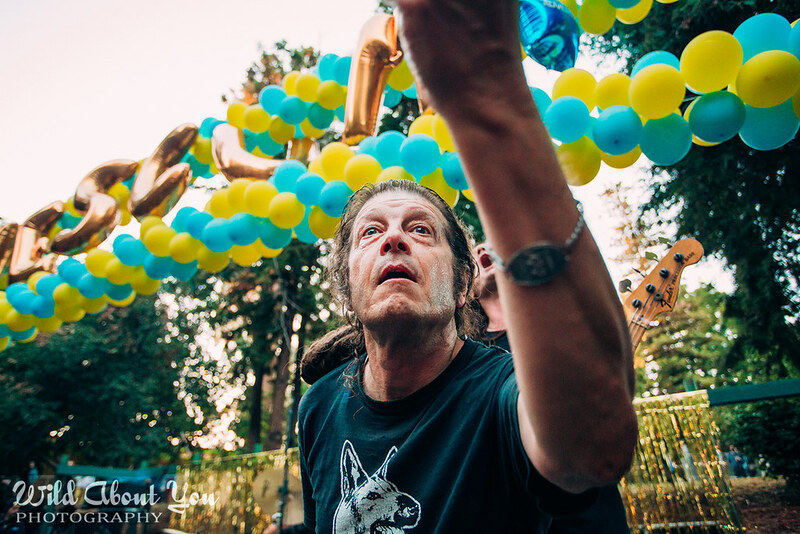 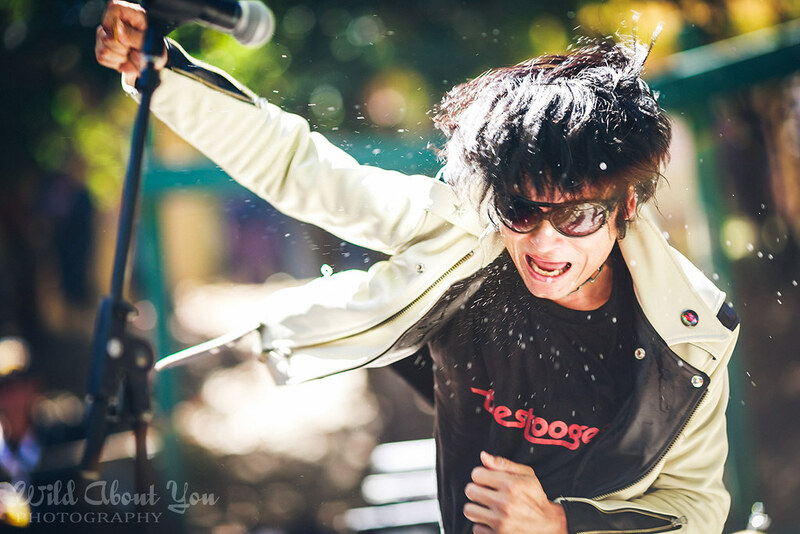 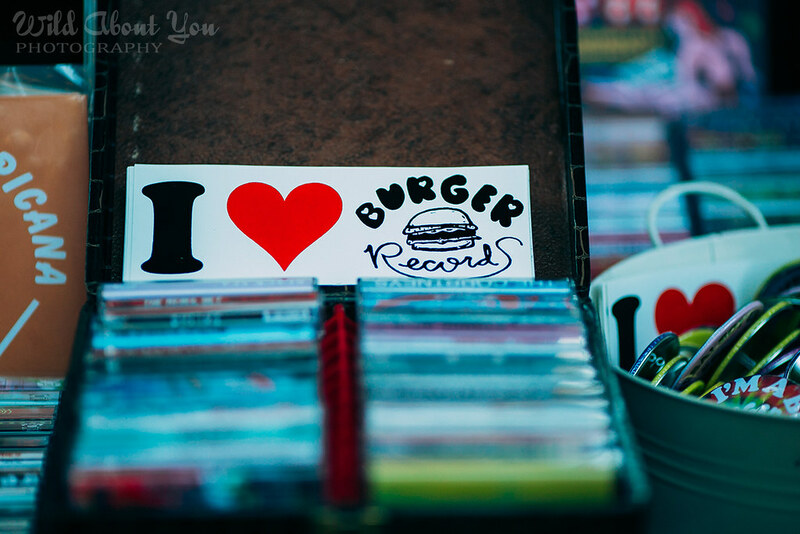 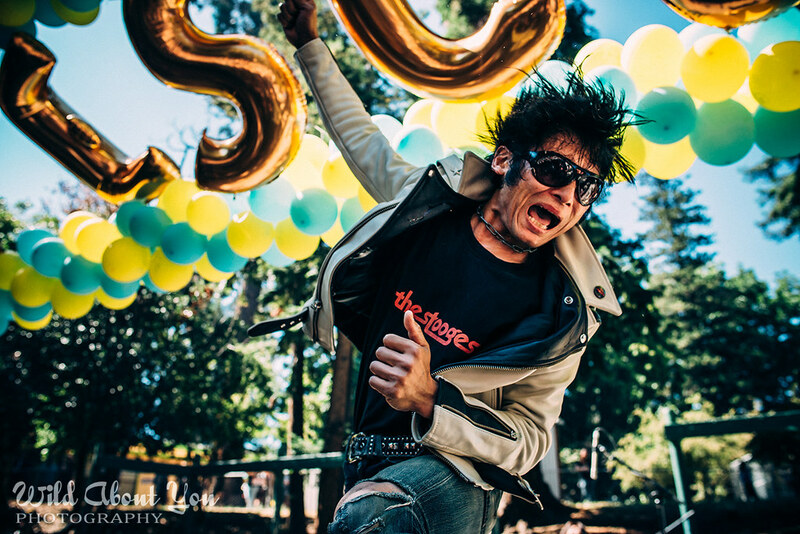 On July 5, 2014, the fine folks at Total Trash Productions and Burger Records brought the Boogaloo back to Mosswood Park, this time with rock’n’roll legend Ronnie Spector headlining the second day of the two-day music fest. 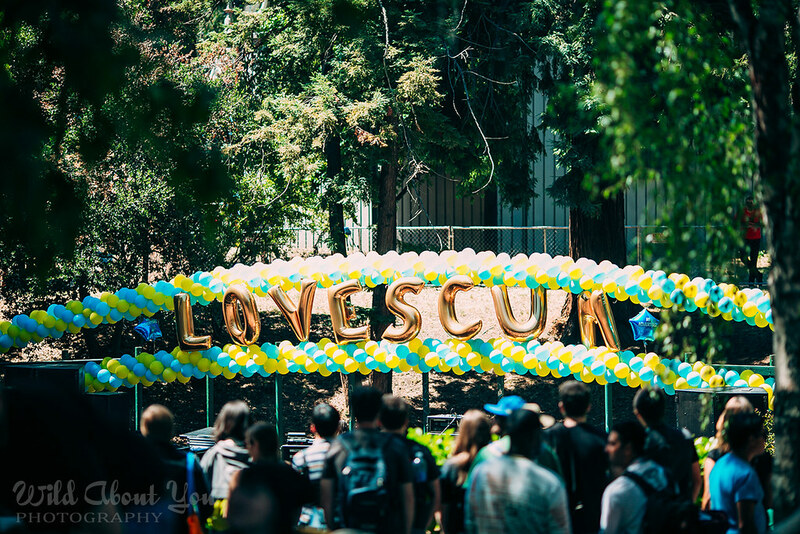 But before we jump ahead, let’s recap action-packed Day 1 with a slew of photos and one animated GIF. 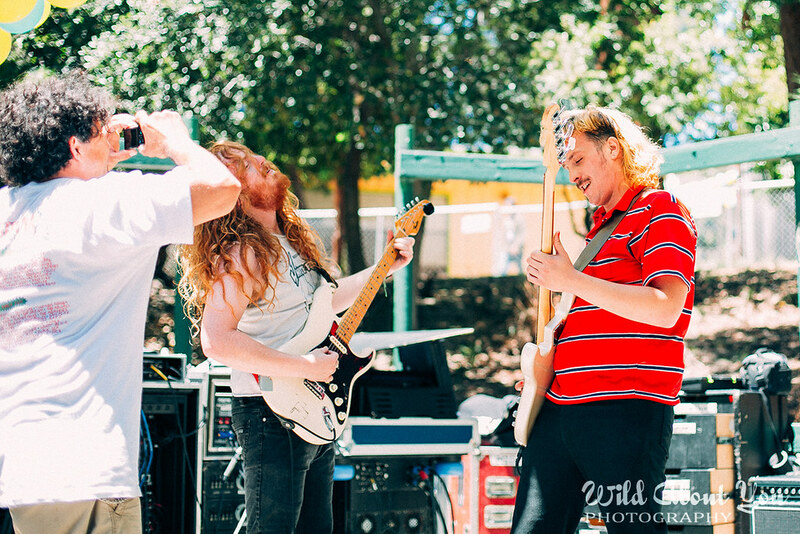 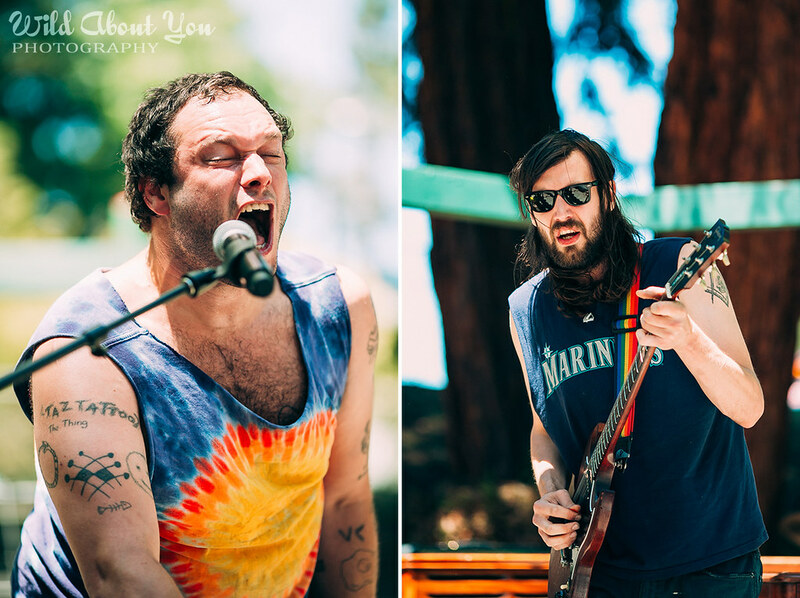 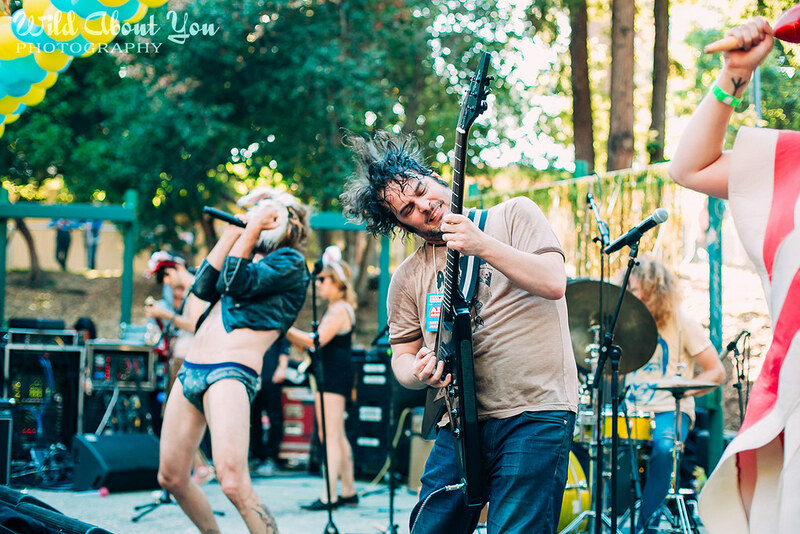 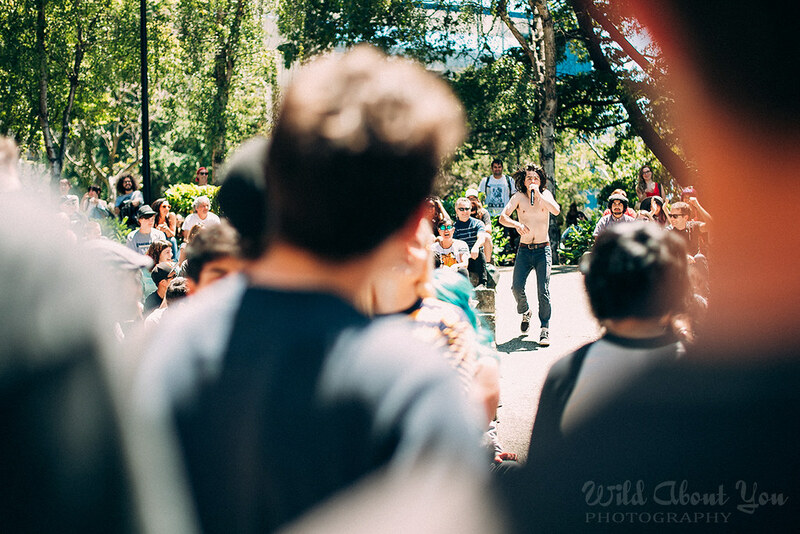 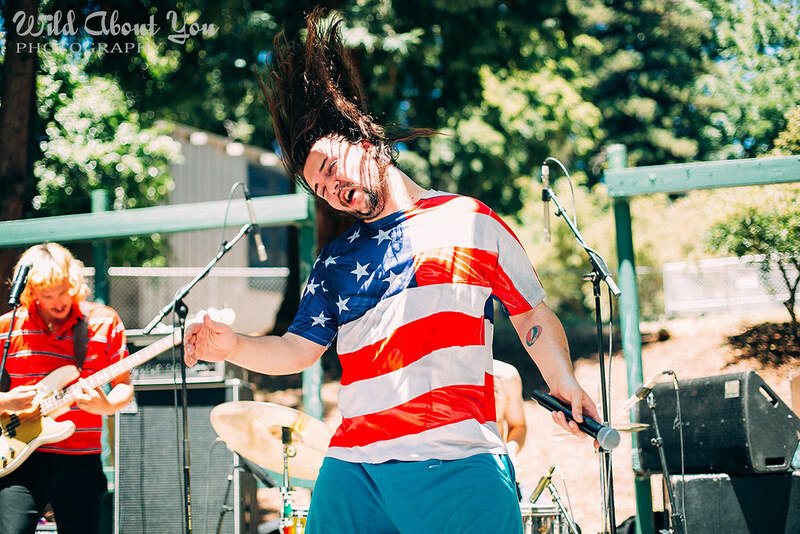 Portland’s White Fang kicked things off with hilarious 420 jams, cartwheels, and bursts of calisthenics. 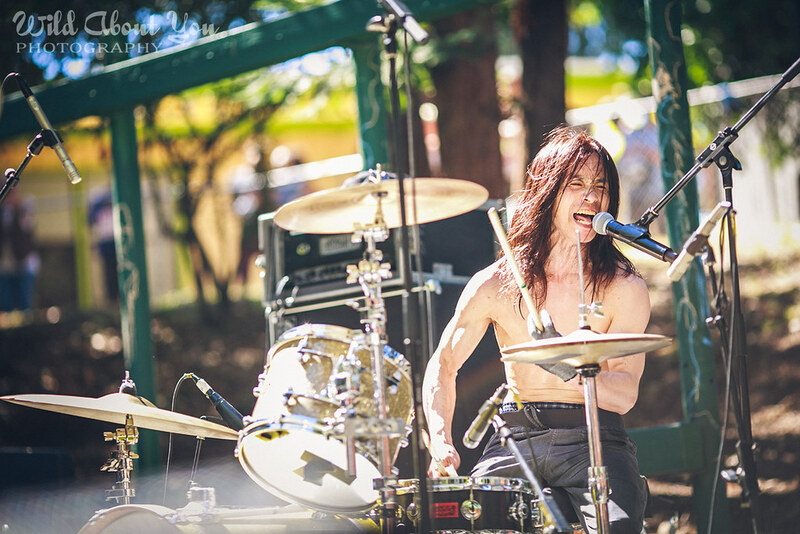 At one point, the singer and drummer switched roles so that the drummer could run a lap around the amphitheater with the wireless mic. 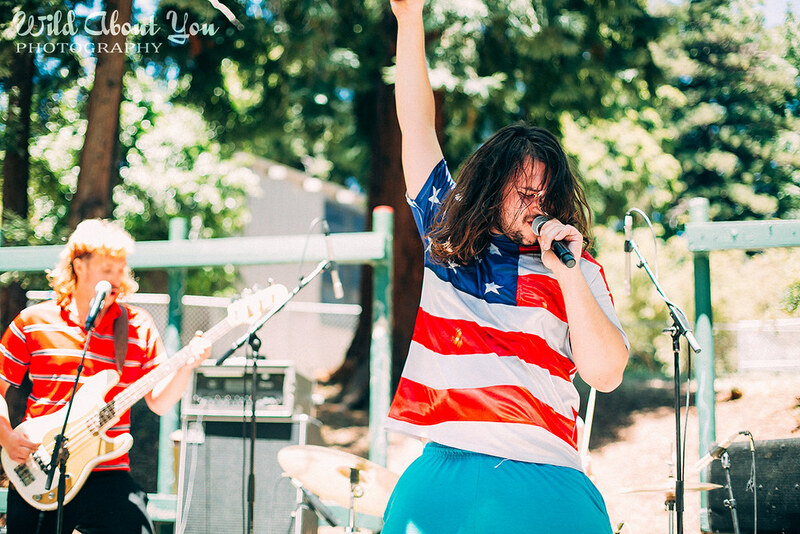 The Terry Malts (formerly from the Bay Area but now in LA) entertained with their brand of heavy yet poppy punk. 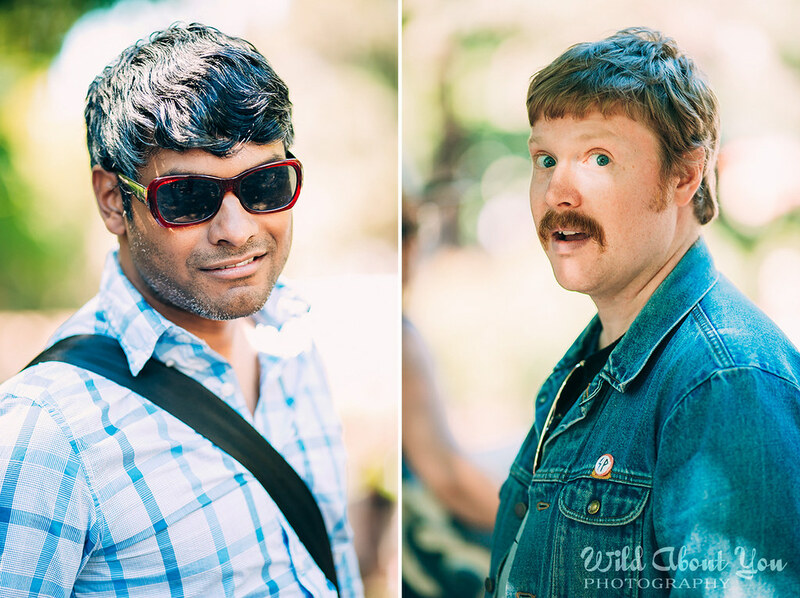 The Trashies from Seattle defied explanation. 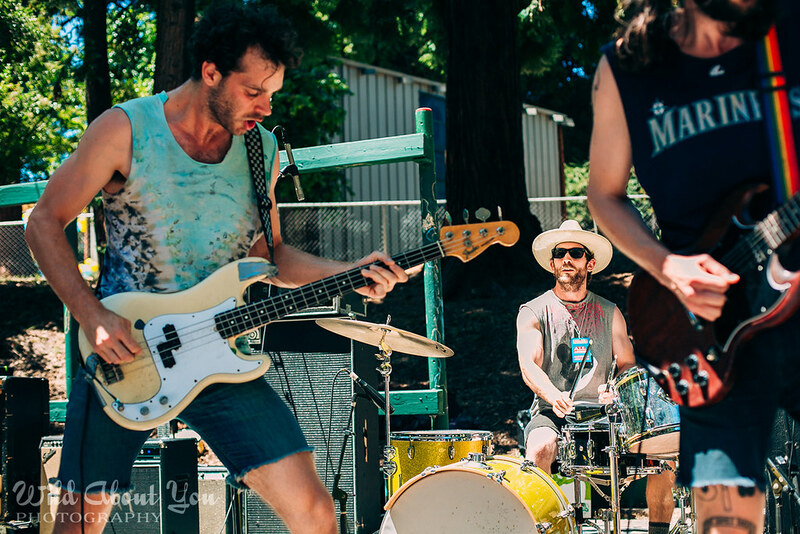 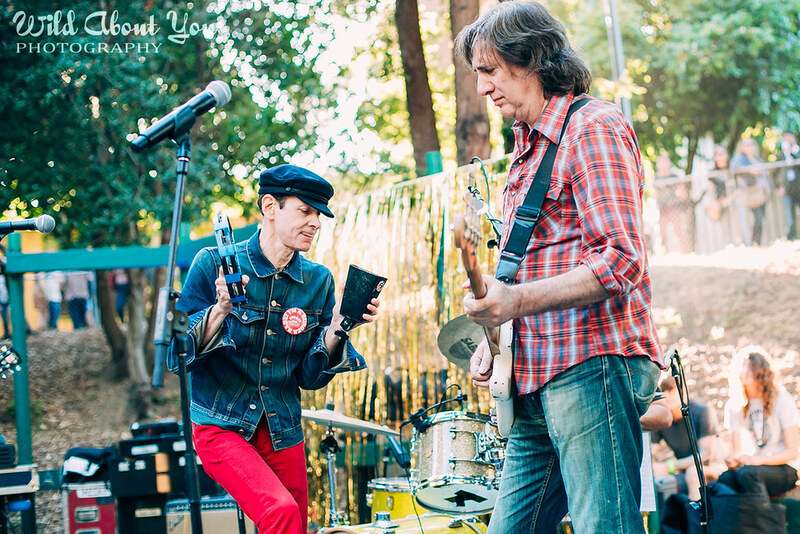 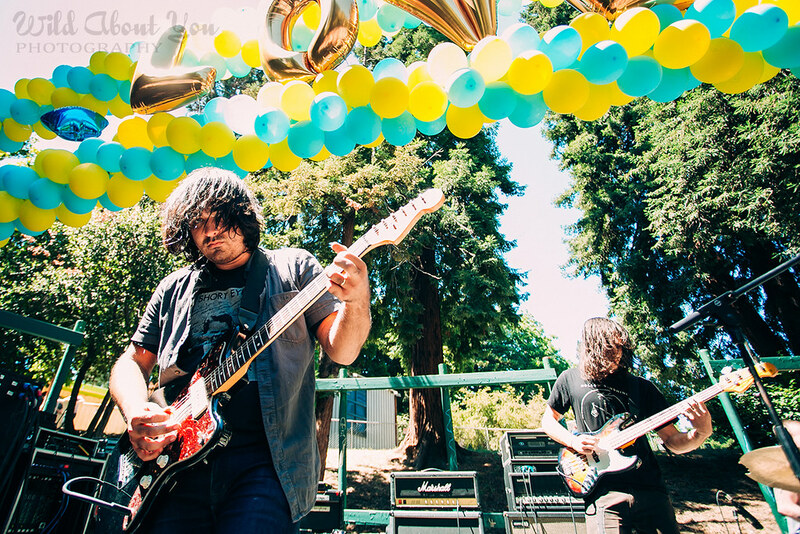 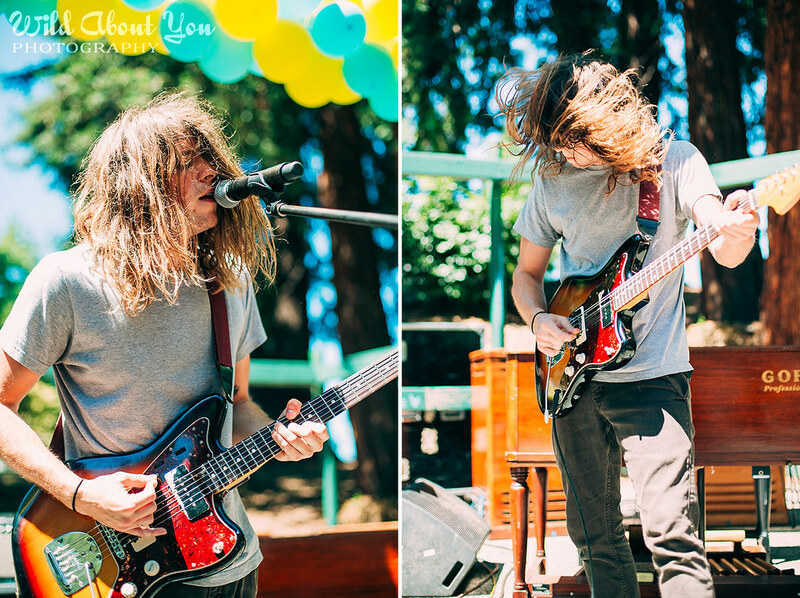 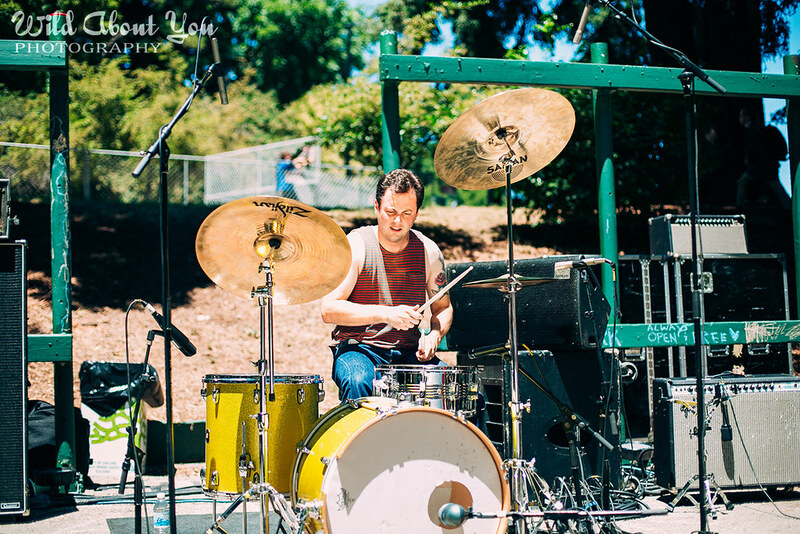 LA’s Wand melted more than a few eardrums with their sonic assault. 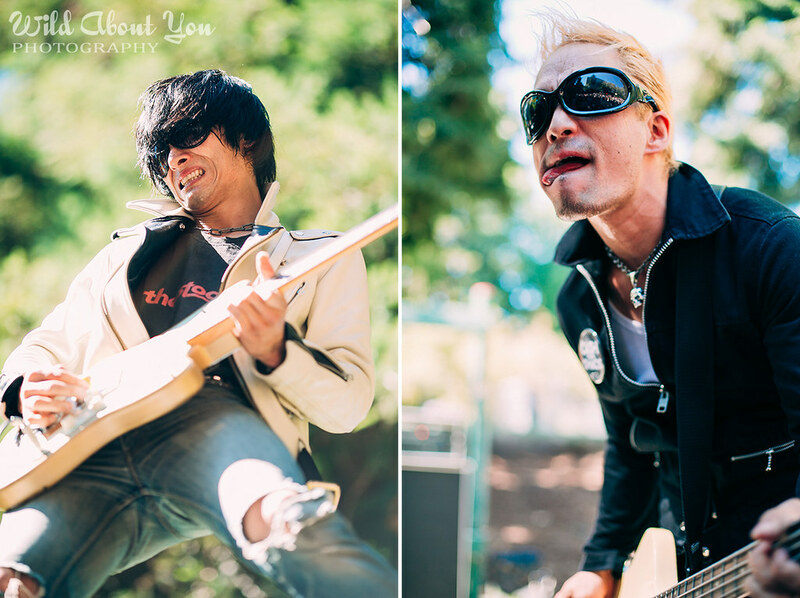 The Thunderroads from Japan cranked out noisy garage punk and shocked the audience when their singer/guitarist climbed up the ten-foot stack of amps with guitar in hand, continued playing, and then jumped down (animated GIF below). 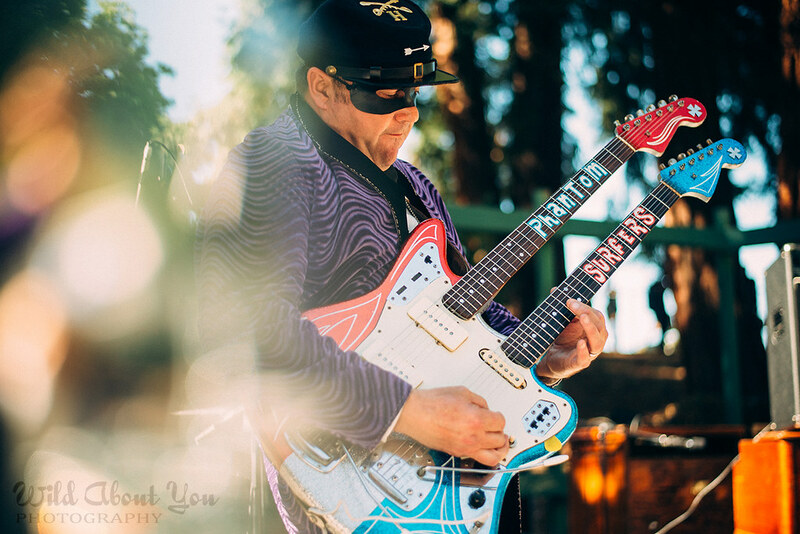 He and his guitar walked away to shred another day. 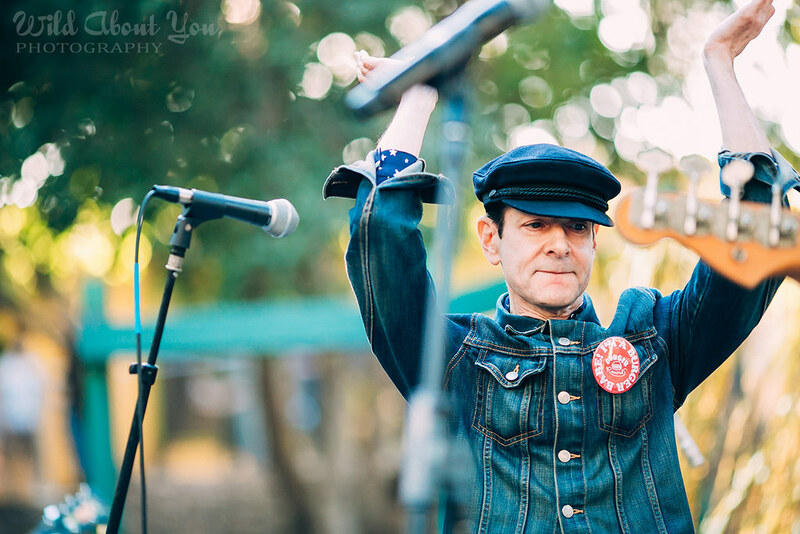 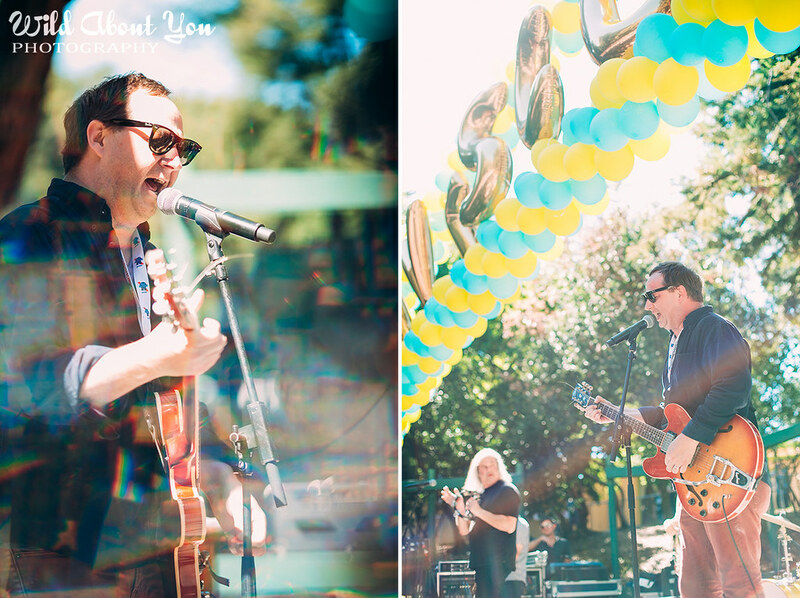 Reigning Sound charmed the pants off the crowd with Greg Cartwright’s signature rasp and heartfelt, soul-tinged garage rock. 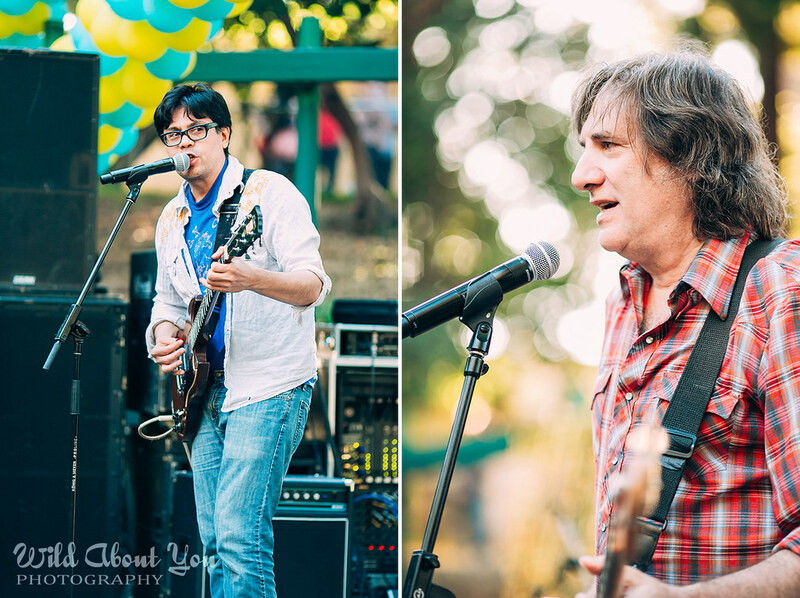 And they did the Compulsive Gamblers’ “Stop and Think It Over”! 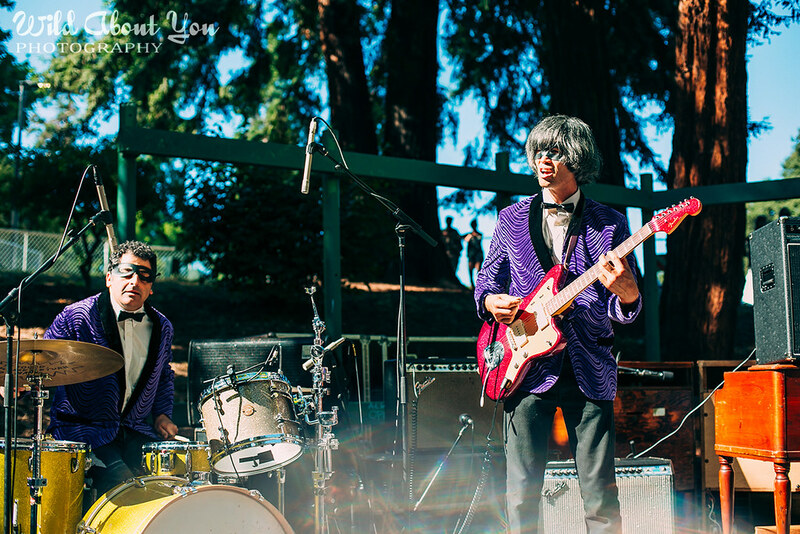 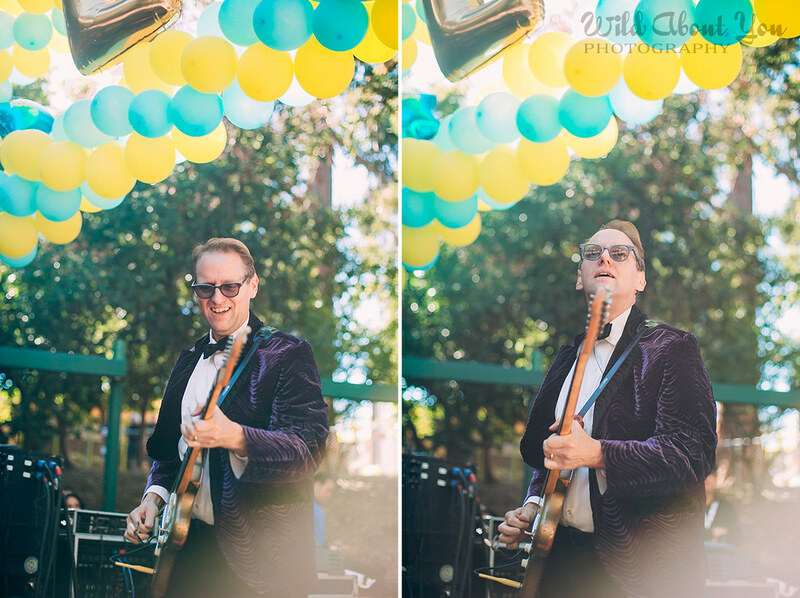 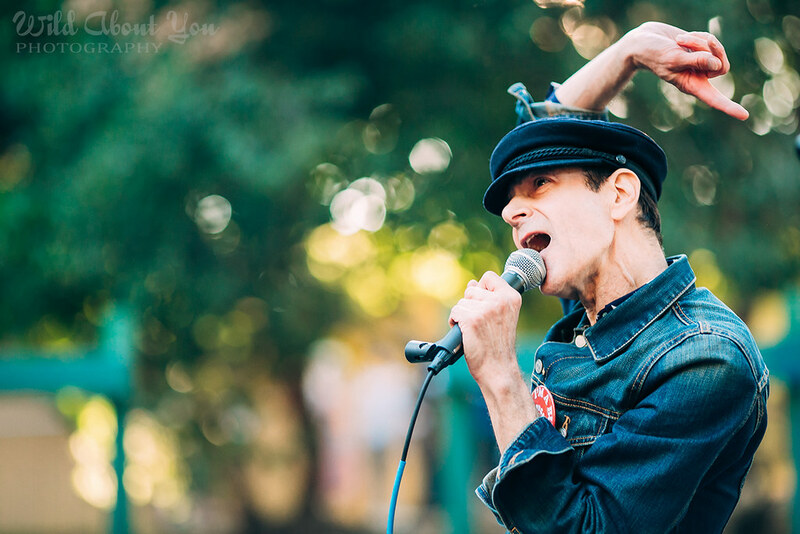 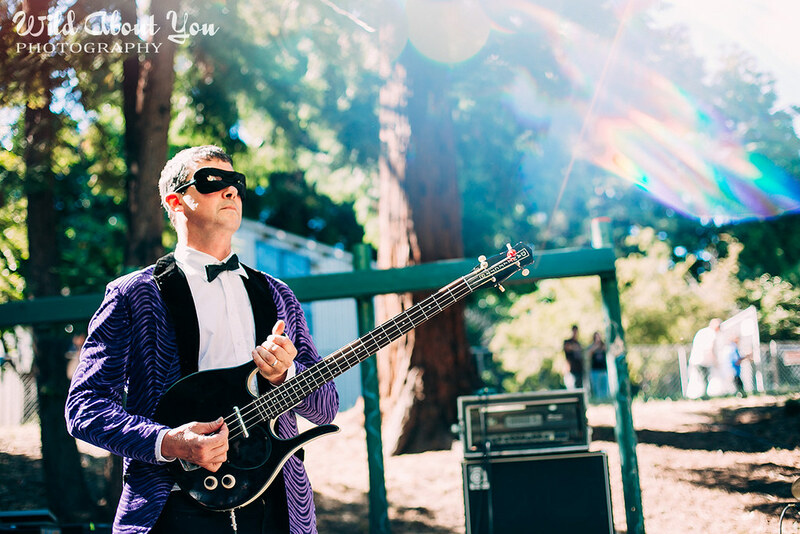 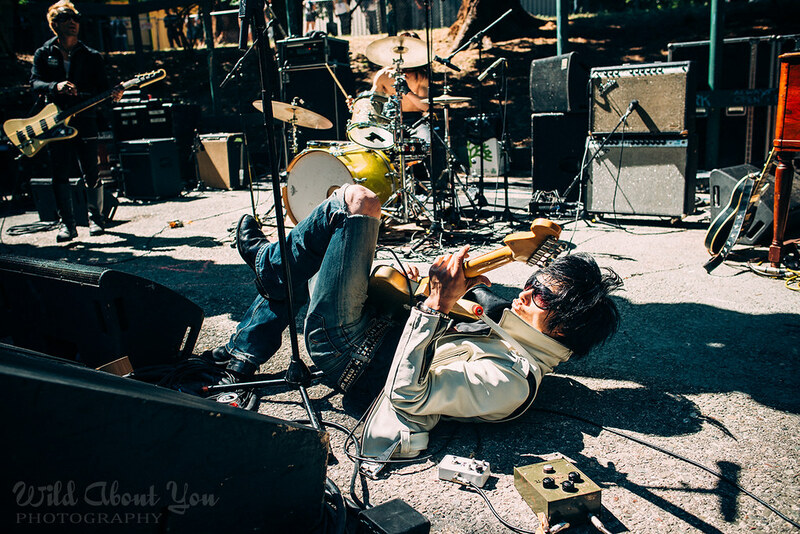 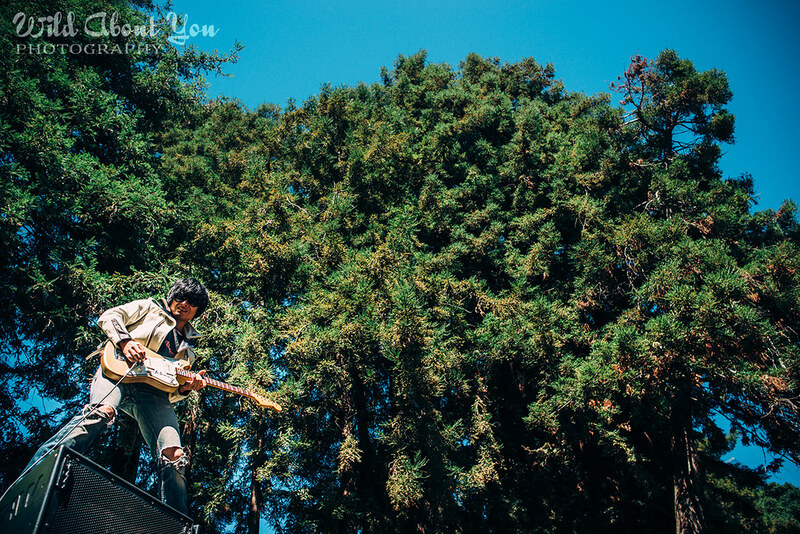 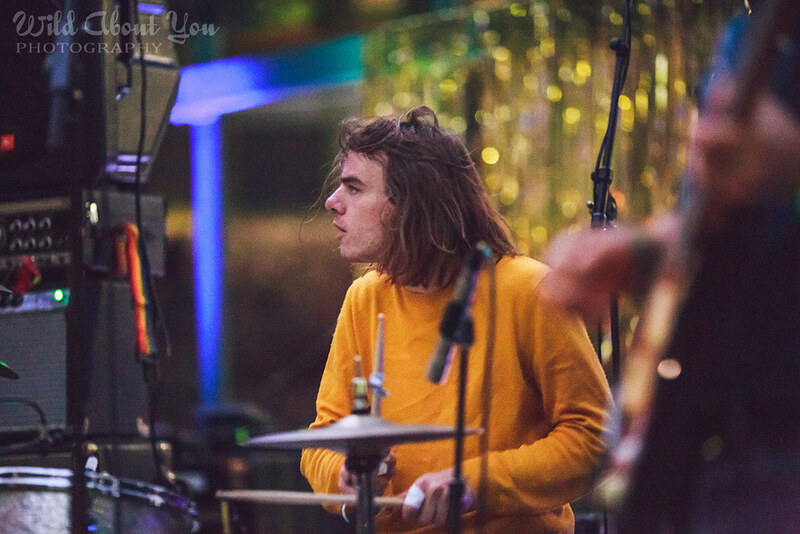 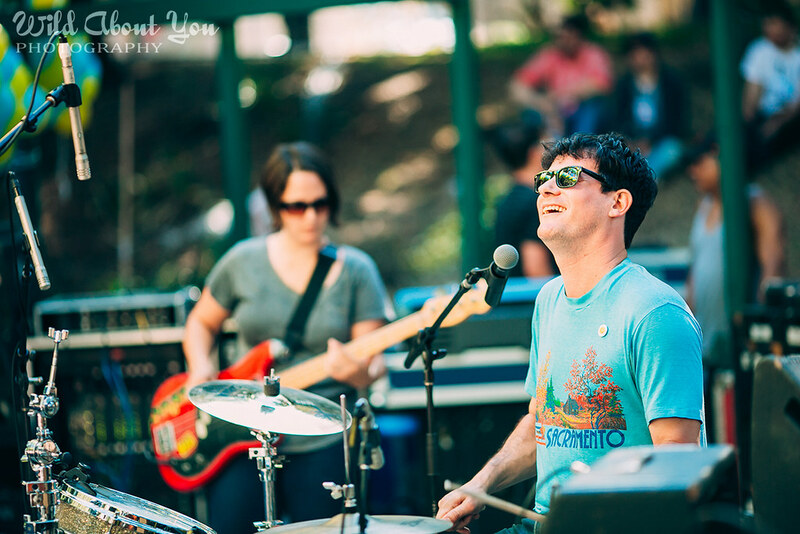 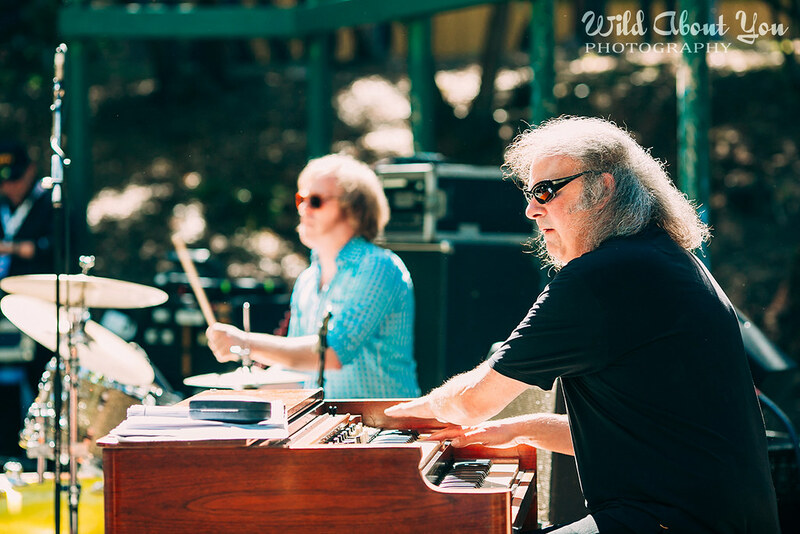 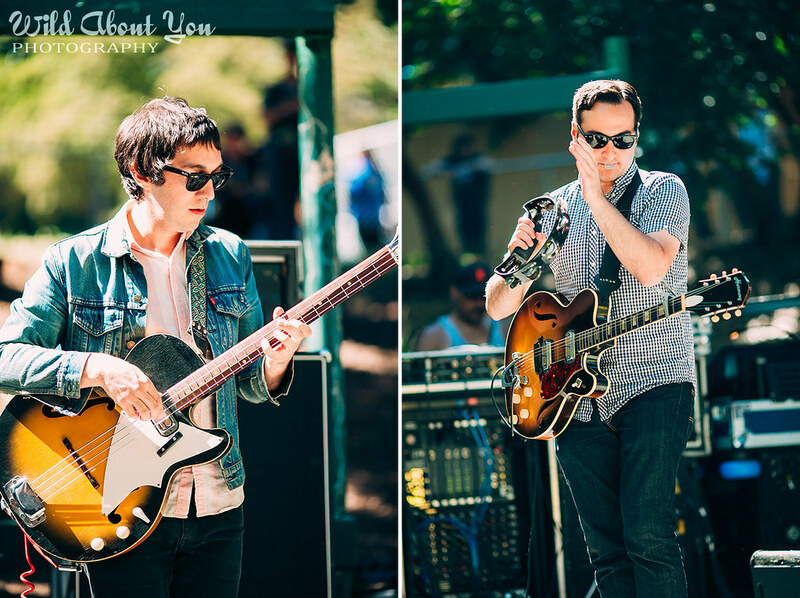 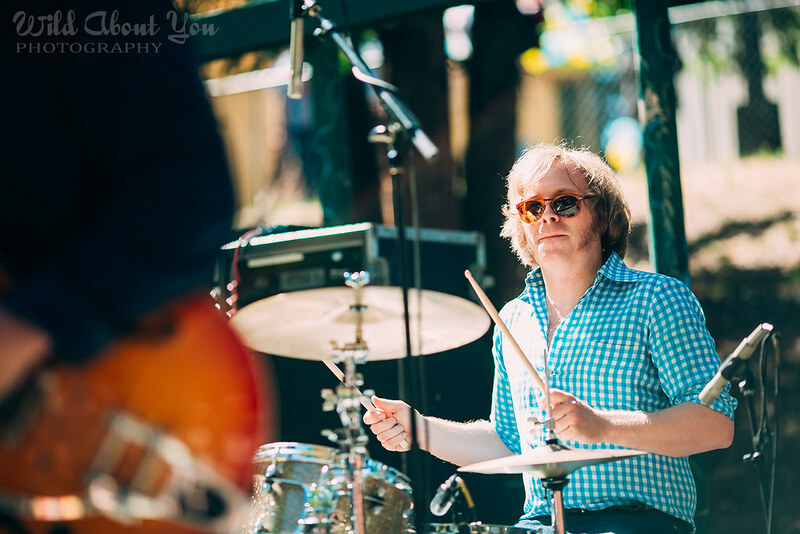 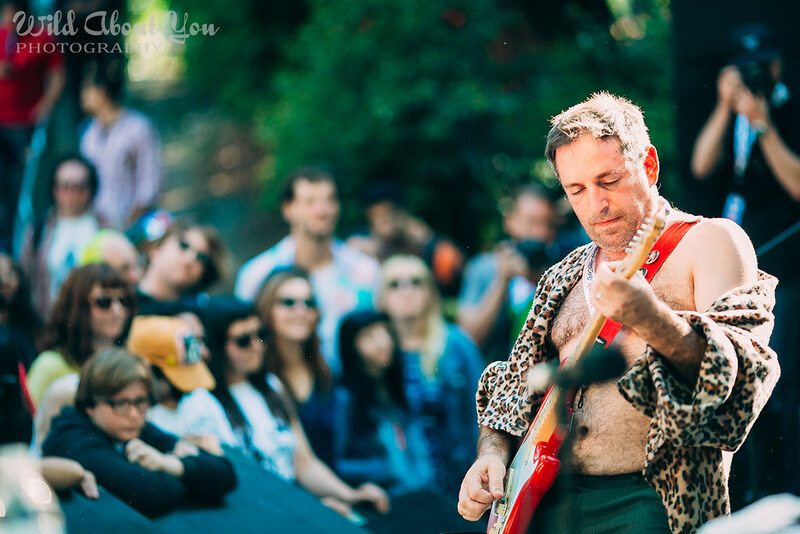 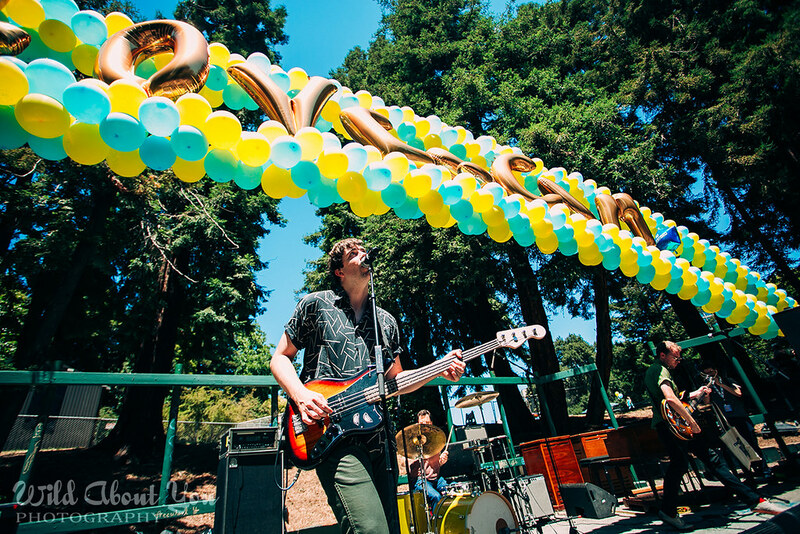 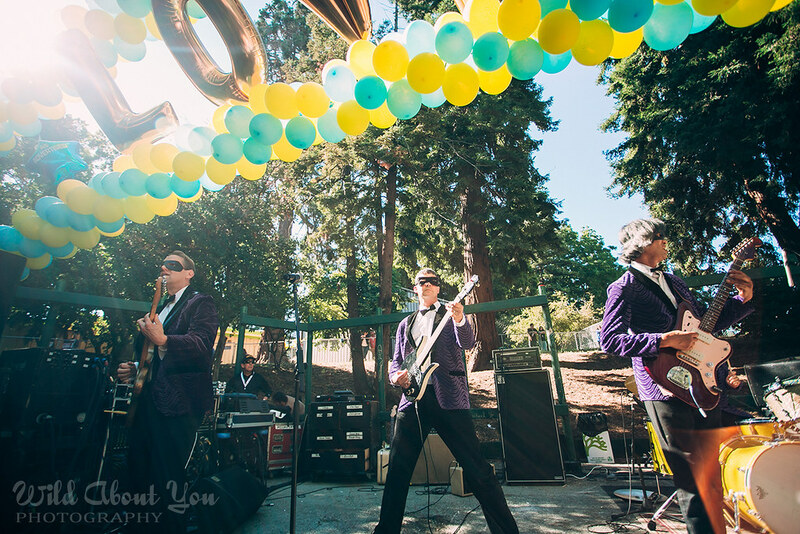 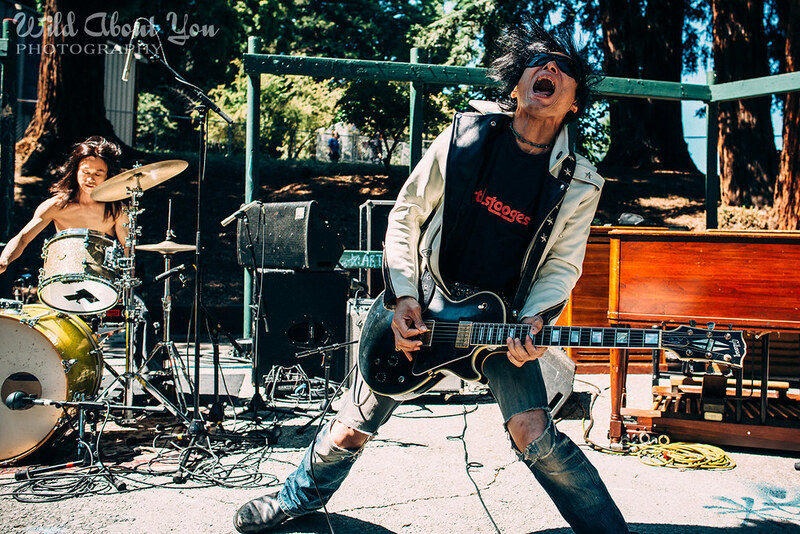 Bay Area budget-rock legends Phantom Surfers flaunted their purple velvet capes and masks and filled the amphitheater with shimmery surftastic instrumentals. 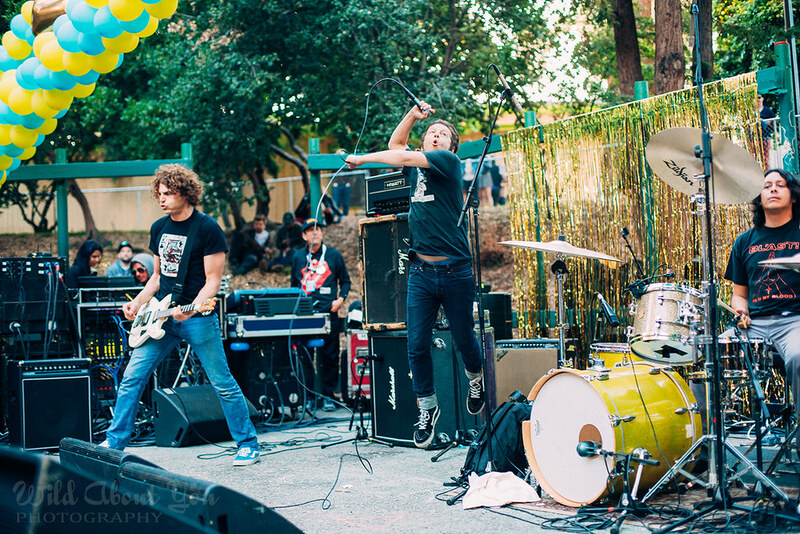 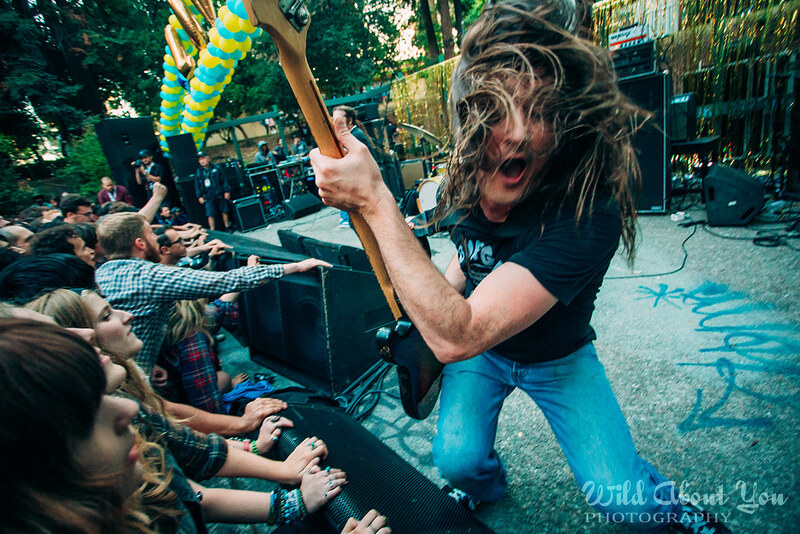 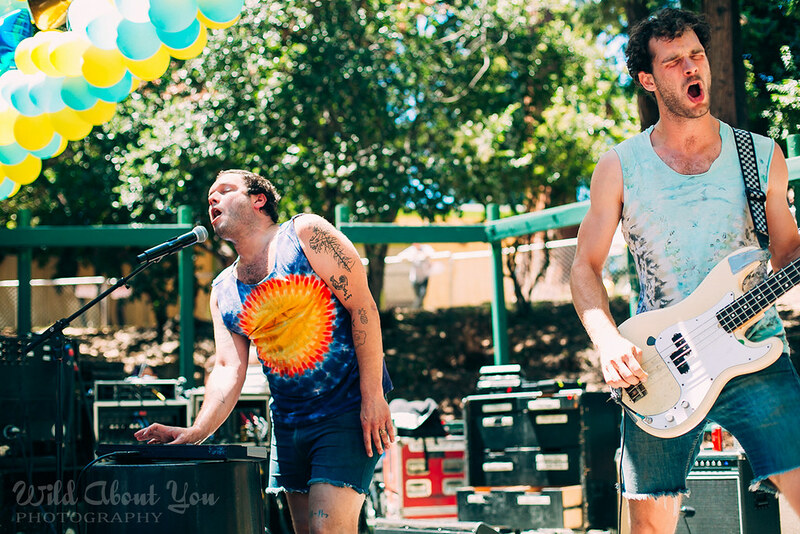 The crowd went, um, ape when The Bananas from Sacramento unleashed their catchy, energetic punk ditties. 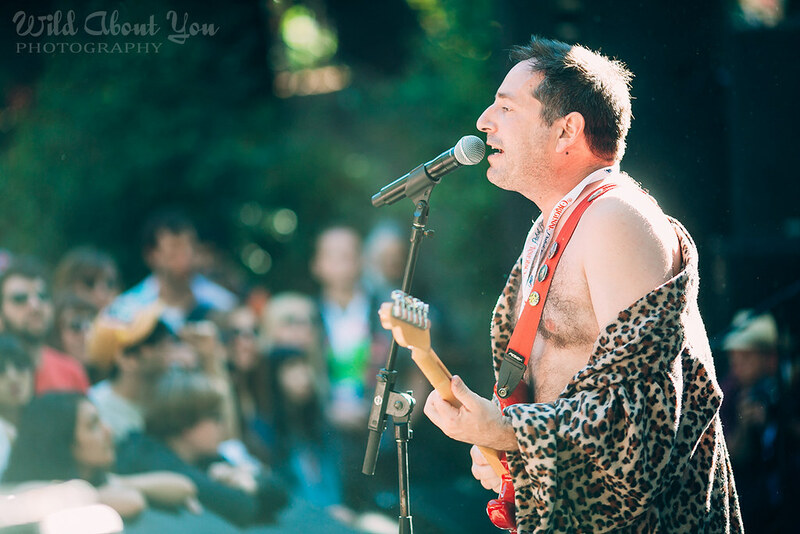 The singer rocked what looked like a cheetah-print snuggie worn backwards. 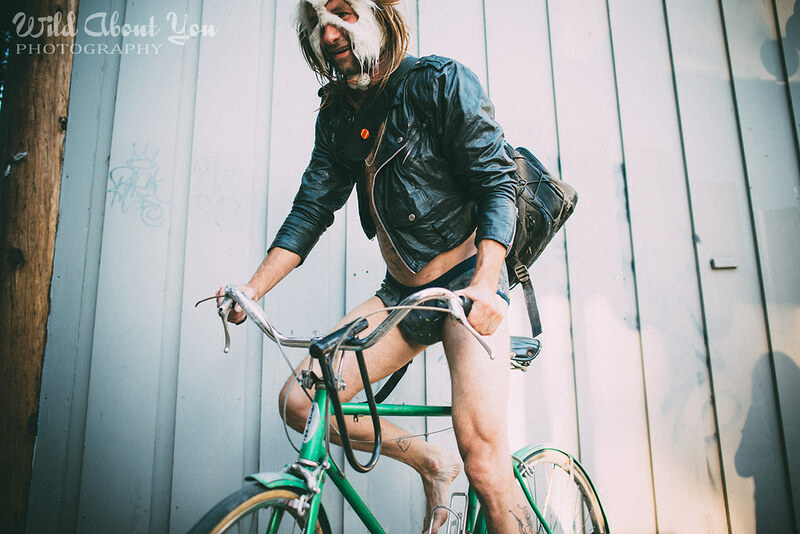 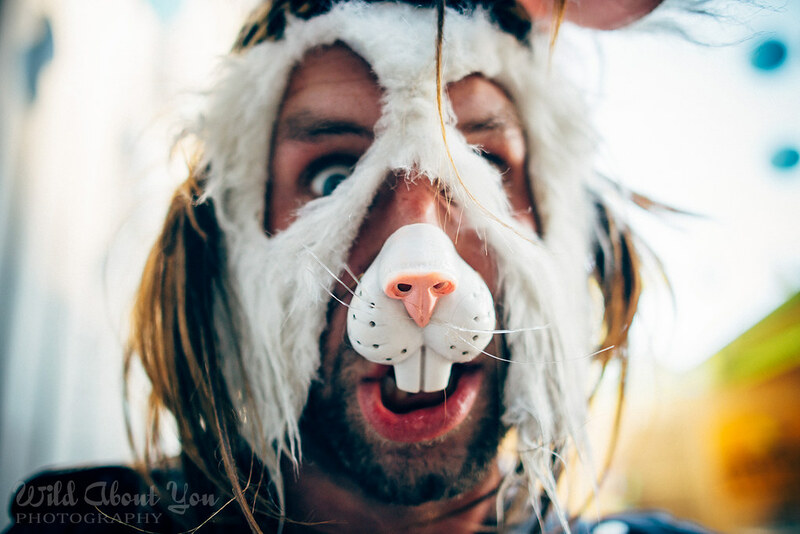 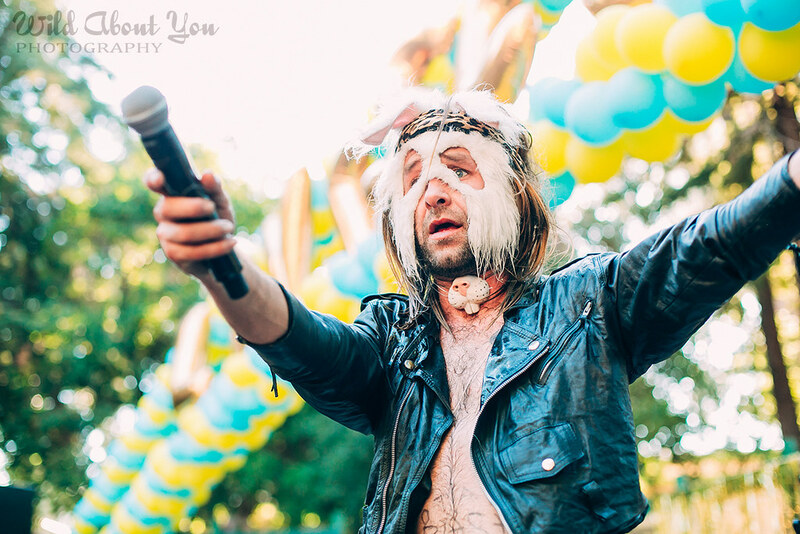 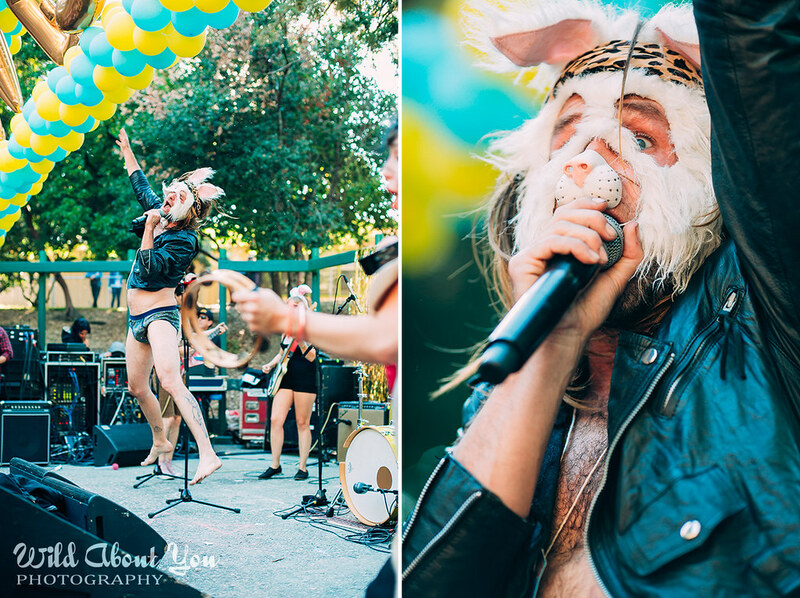 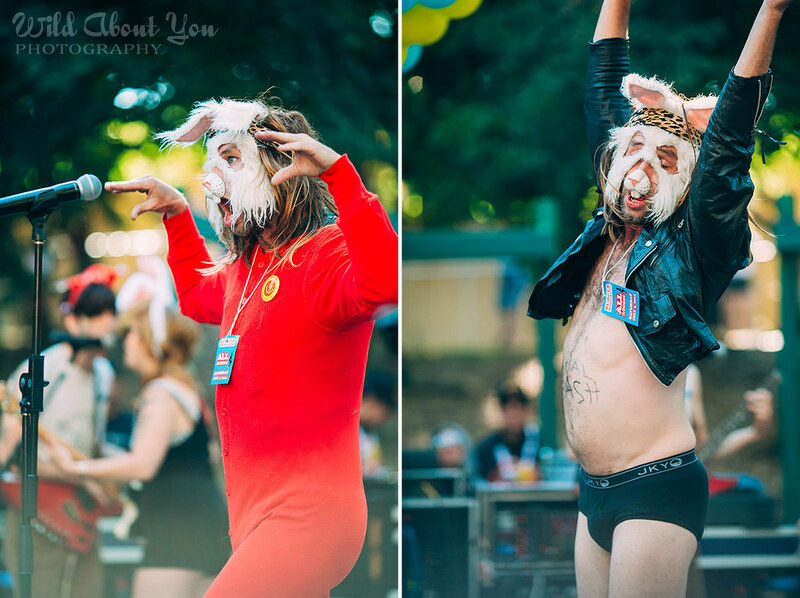 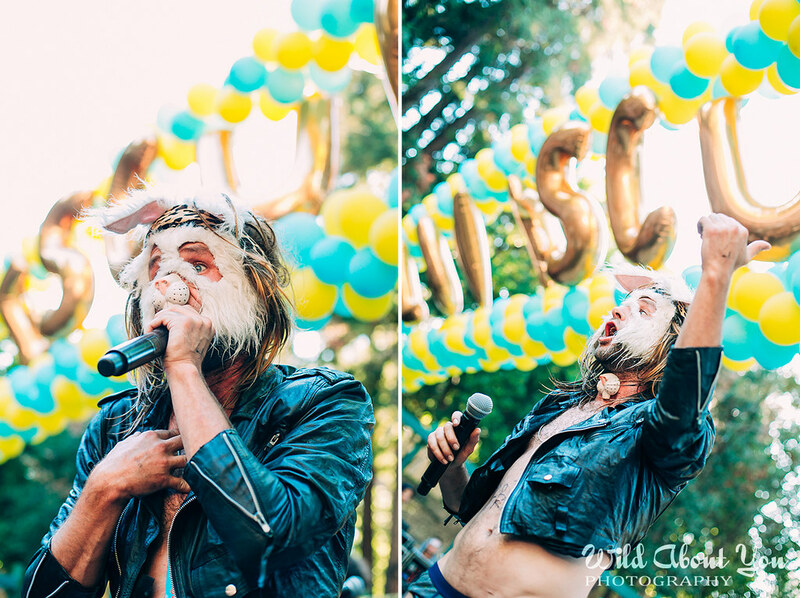 Masked madman Nobunny rallied the pogo party even more with his frenzied, fuzzy pop gems. 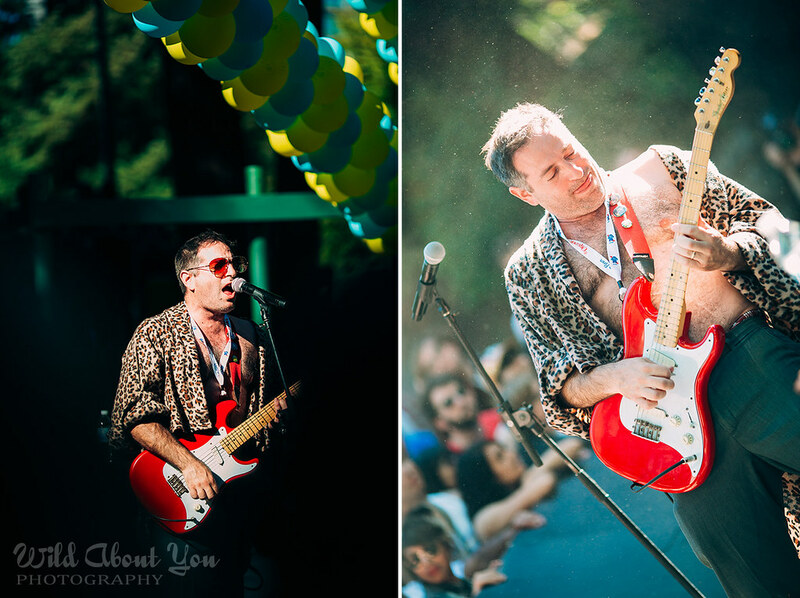 Somehow he managed three costume changes while on stage and also clambered up the amp stack in his skivvies. 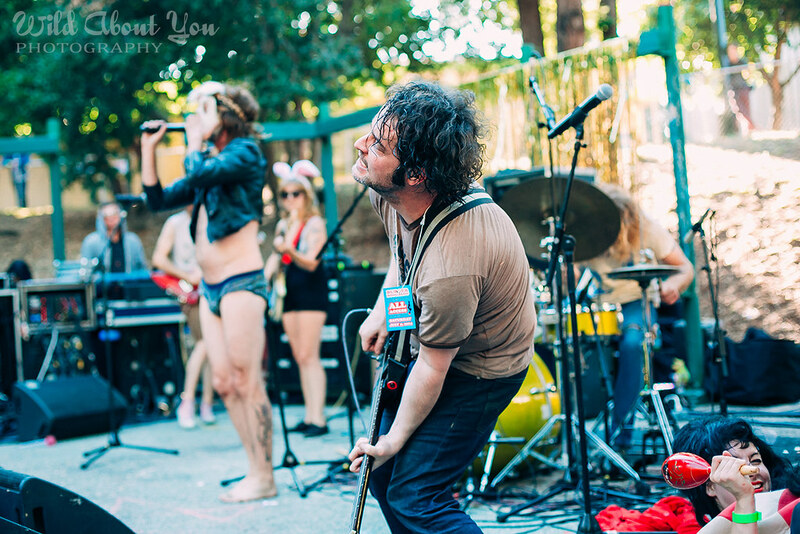 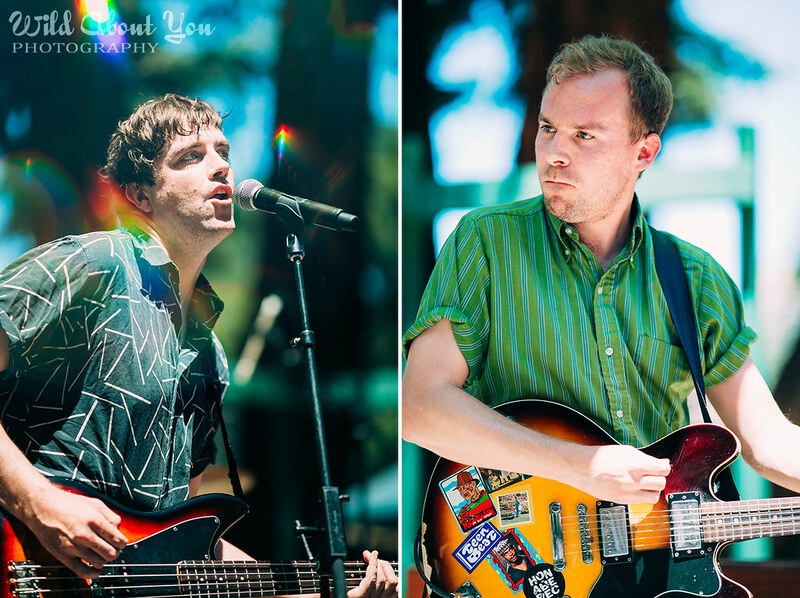 New York cult heros Milk ‘n’ Cookies dusted off their glammy power pop sparklers. 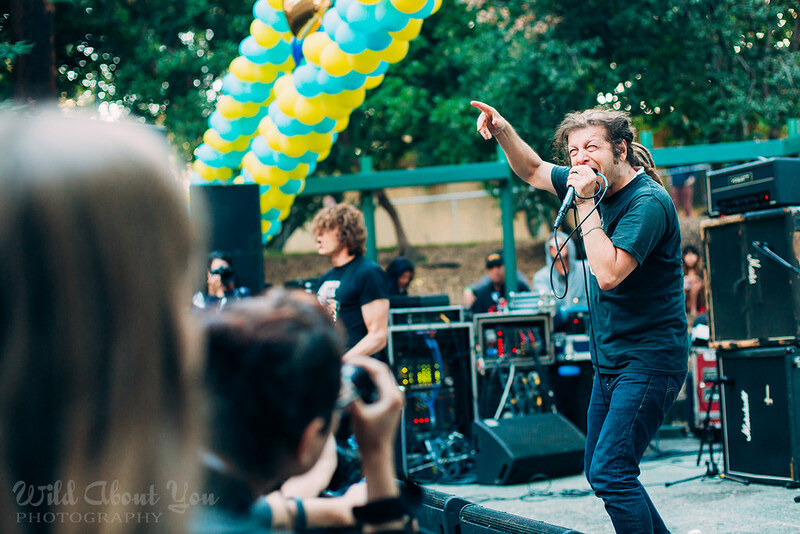 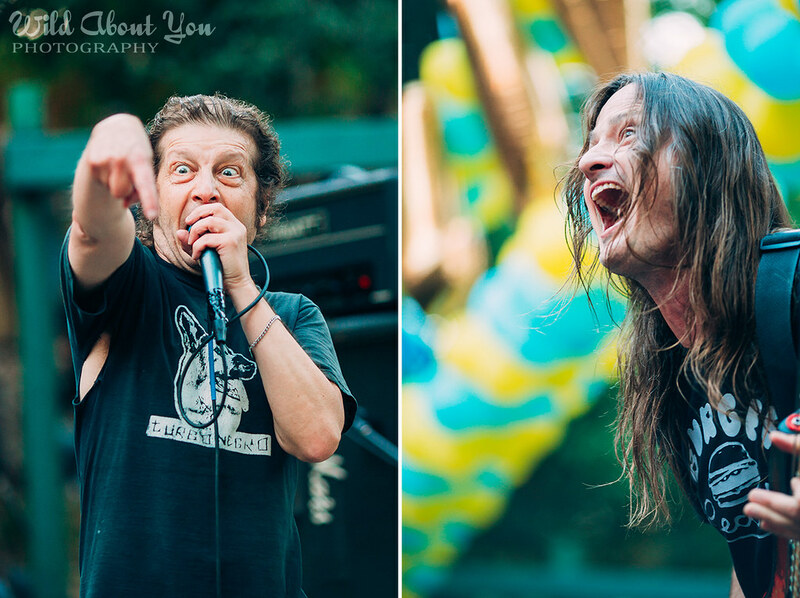 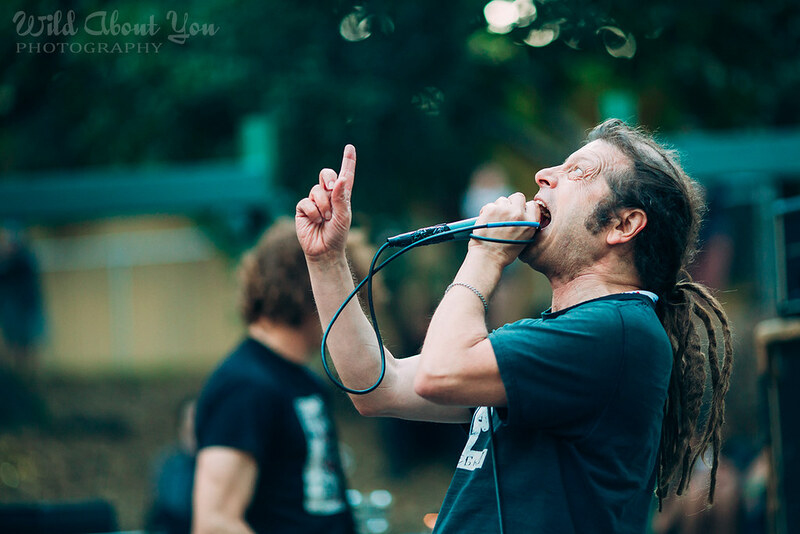 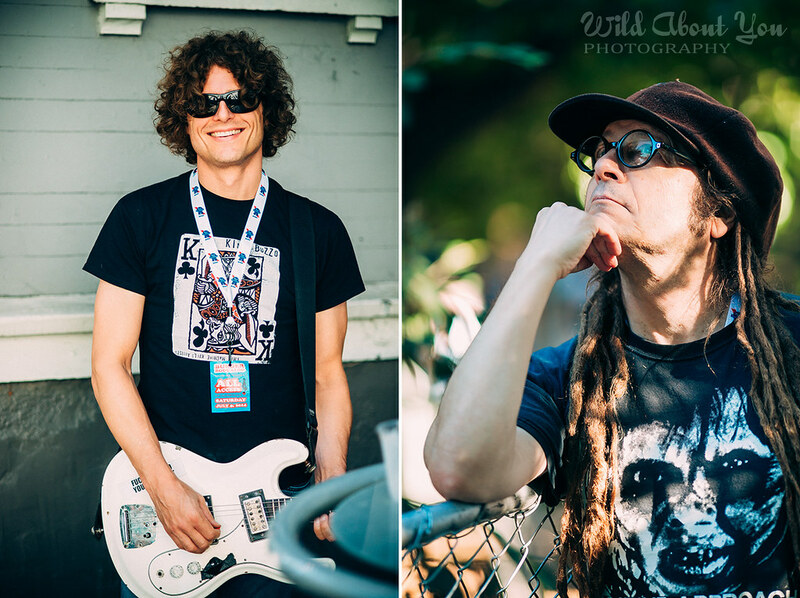 OFF!, featuring Keith Morris (Black Flag, Circle Jerks), Steven McDonald (Redd Kross), Mario Rubalcaba (Rocket from the Crypt, Earthless), and Dimitri Coats (Burning Brides), fueled the nonstop crush of flailing limbs and flying bodies with classic American punk. 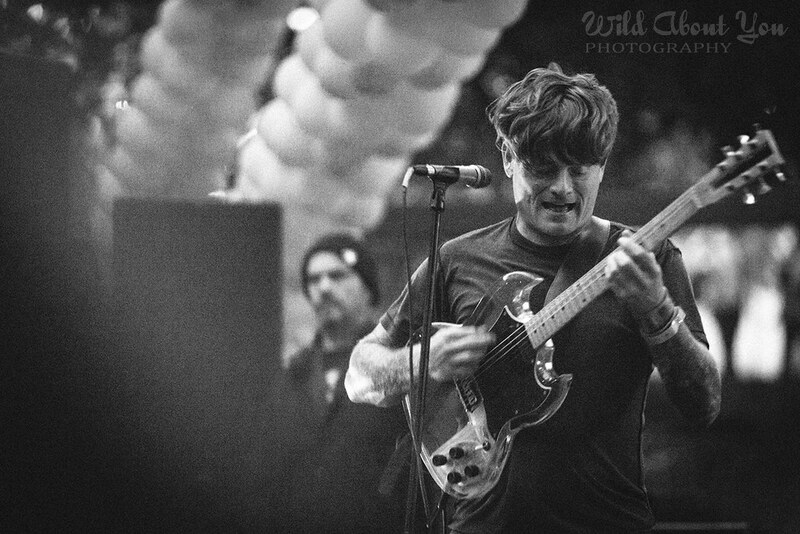 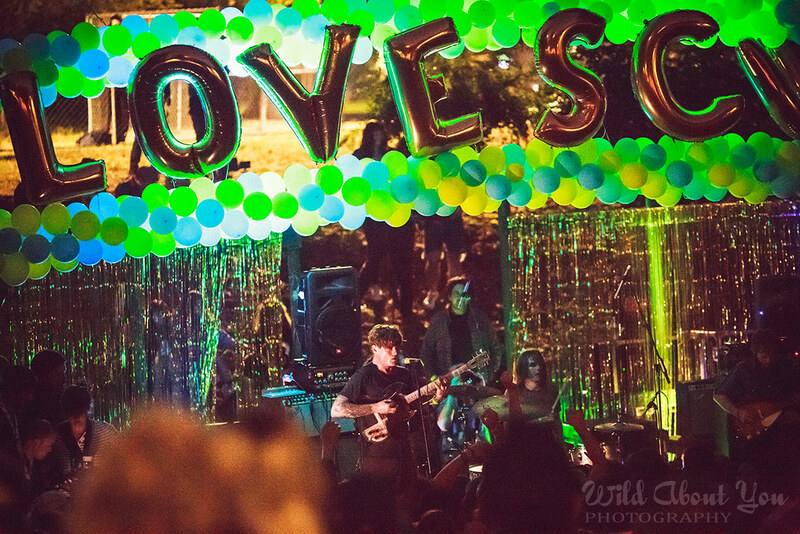 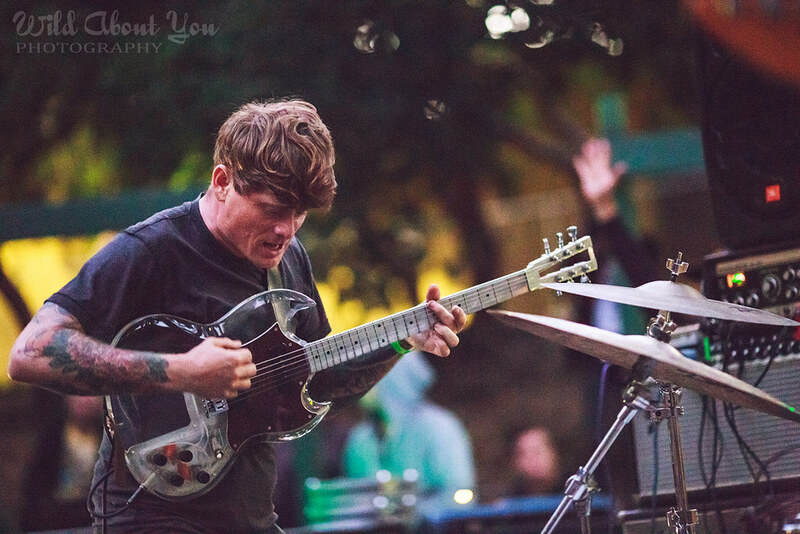 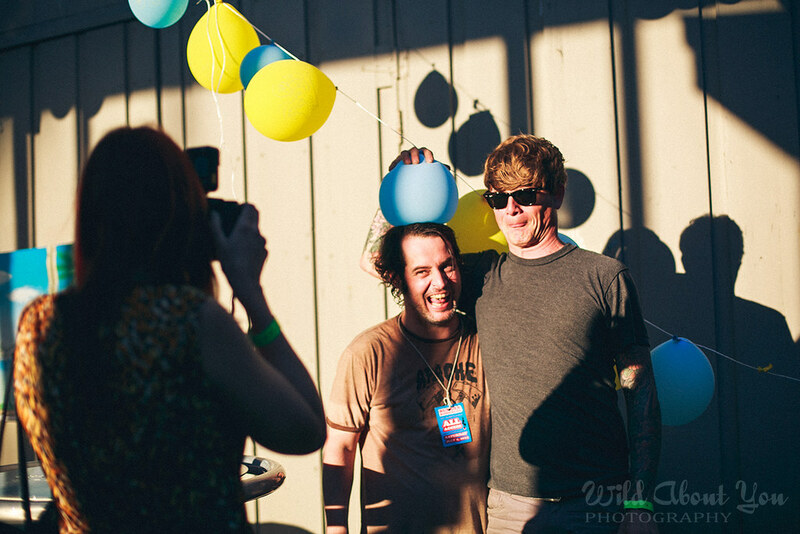 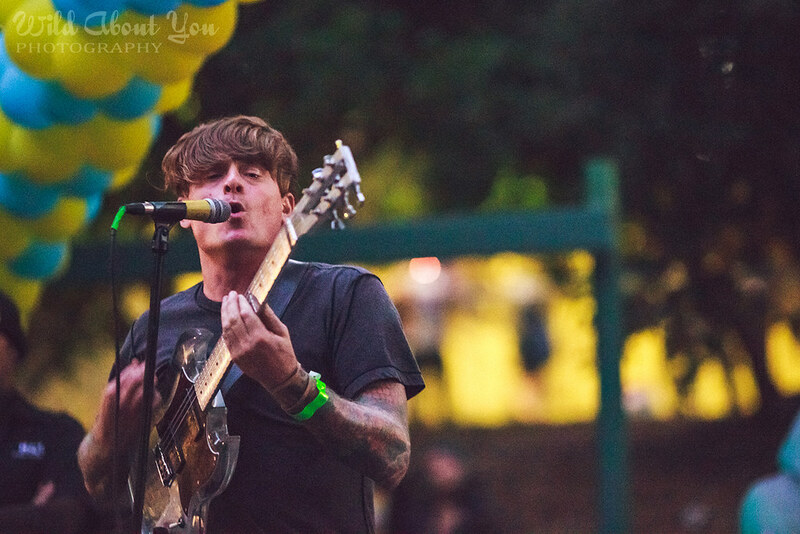 John Dwyer of Thee Oh Sees broke quite a few hearts when he moved to LA at the end of 2013, but all the psych-loving weirdos he had shafted seemed to have forgiven him and were riveted by his new three-piece band. 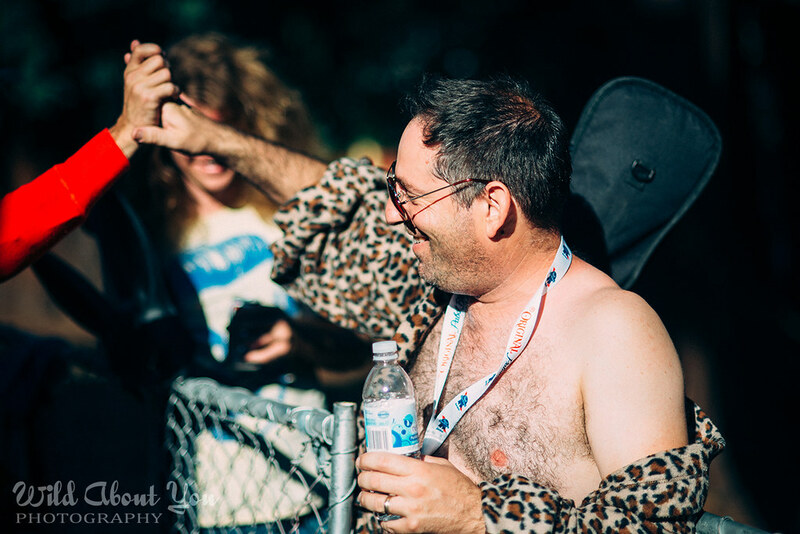 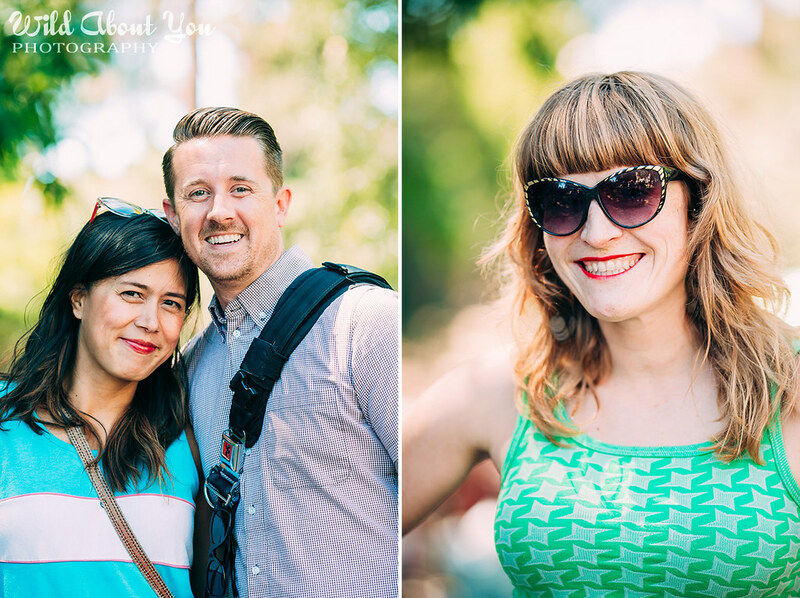 In addition to the 12 bands and DJ Tina Lucchesi were at least a thousand happy faces soaking up the summer vibes. 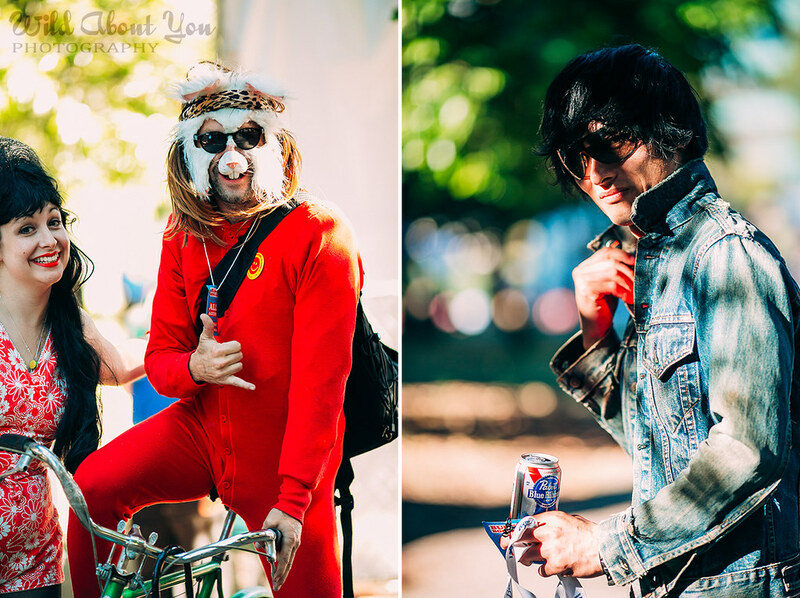 Here’s our visual recap of Day 2!